https://southdenver.bintheredumpthatusa.com/dumpster-rental-highlands-ranch	Bin There Dump That South Denver	https://southdenver.bintheredumpthatusa.com/img/franchisees/1.jpg	202-10004 Dransfeldt Rd, Parker, CO	Contact us for more details. 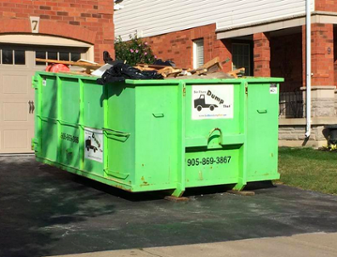 Discover how we make renting a dumpster in Highlands Ranch, CO a simple and easy process. Bin There Dump That is committed to making the dumpster rental process for the customer a seamless transaction, from placing an order for the needed dumpster size to delivery of the waste container in Highlands Ranch to an immediate pick up when you no longer need the bin on your driveway. Highlands Ranch is an unincorporated community in the heart of Colorado. It's one of Denver's larger suburban areas with a population of 96,000 people. It's considered one of the best and safest places to live in all of the US. The community is proud of its focus on a healthy outdoors focused lifestyle. There are 19 parks and more than 60 miles of trails for hiking, biking and running. There are also a few skate parks for the teenagers as well. There are also some great restaurants in town as well. Popular spots include Old Blinking Light - don't let the odd name fool you, they offer some great American style cooking to appeal to all tastes. Other great options include Cranelli's Italian Eatery and Fleming's Prime Steakhouse. The community also has a strong brewing tradition. Both Grist Brewing Company and 3 Freaks Brewery are located within the towns limits. Grist is a fun place to stop for a local brew in a unique warehouse setting and 3 Freaks may be one of the best kept secrets in Colorado. For the avid golfer you can find a great course in town at The Links Golf Course. This is an 18 hole course with excellent greens and the clubhouse has some great food to enjoy after your game is over. As an added bonus you get to enjoy some great scenery as you make your way around the course. Highlands Ranch is a thriving and growing community. Your local Dumpster Rental Highlands Ranch dumpster rental operator is Bob Cotner And Joe Chupp.